Nose: Bright, leafy citrus with strong coriander aromas. Very aromatic with unfurling floral notes, lemon and gentle cinnamon. Palate: A thick and creamy mouthfeel with spiced notes and vanilla. Sappy juniper, which quickly develops into succulent green leaves. Lemon balm and verbena, before warm, zesty orange. Finish: Strong coriander seed and leaf, which is – unfortunately – on the cusp of becoming soapy. 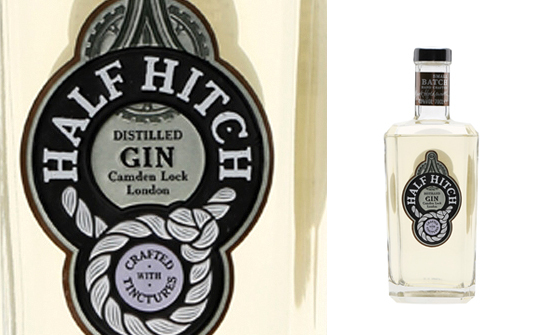 Comments: A bold and leafy gin with a pleasant array of botanical character. Nose: Subtle aromas of damp earth and pine forests, followed by green, herbal notes balanced by a refreshing dash of lemon zest. Palate: Thick and juicy with herbal flavours. Juniper, thyme, basil and coriander leaf are at the fore, then lots of juicy citrus fruit mixed with nutmeg, liquorice and peppery spice. Finish: Dry with a sharp citrus edge. Comments: Just as you’d expect. Would work well with a simple wedge of lemon in a classic tonic.